A brilliant starter kit for those who want to be the next Harry or Hermione. This fascinating set from Thames & Kosmos has everything needed for 35 easy to perform magic tricks. 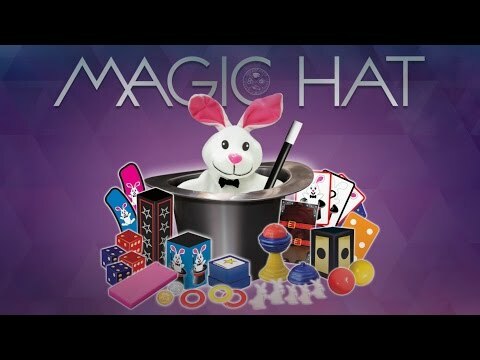 Includes a magic ball stand, x-ray box, magic dice cube, a rabbit puppet and much more, all centered around a sturdy magic hat to perform hat tricks and much more. Complete with an illustrated booklet and the essential magician's wand, this is a fantastic introduction into the mind boggling world of magic. Abracadabra! Exhilarating LED lit car spins and can even jump up to 40 inches!